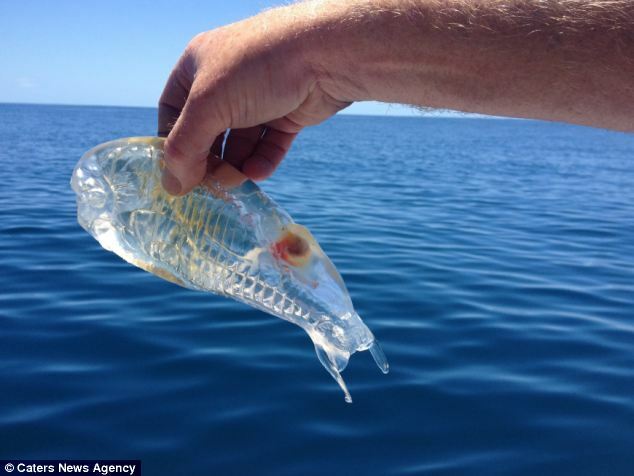 A fisherman in waters north of New Zealand came across an odd-looking, translucent sea creature swimming on the surface. Marine experts in the U.K. identify the jelly-like blob as a Salpa Maggiore. Studio Gascoigne picked this up for the second year running. Judges said Glassons Queen Street has a refreshingly unusual colour palette that works dramatically well – acidic, both modern and vintage, extending to all surfaces including the ceiling. Judges said the Seel Residence by Parkhurst Design exemplifies balance and tone. 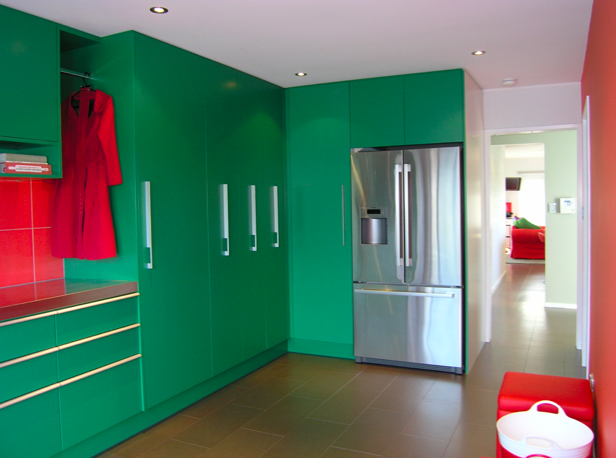 The green tones are on trend and easy to live with; restful yet bold. Green is an ideal foil to timber, providing a great complementary background just as it does in nature. All the furniture was carefully chosen and ties in with the overall colour scheme creating a sense of atmosphere sympathetic to the 1938 brick and tile home. Meanwhile, the striking floor finish of the Kingsland Art Project by Eucalyptus Design & Interiors was awarded a Resene Total Colour Residential Interior Colour Maestro Award. Often floors are left to blend into the background, but judges deemed this a commanding and magnificent playground, a work of art in its own right. A Resene Total Colour Residential Interior Colour Maestro Award was also awarded to Sarah Quinlan Design Ltd for the Nelson Project. The colour palette is not only brave, said judges, but very well balanced with the reds creating a nice sense of proportion. The slightly metallic floor provides a subtle sense of movement and light and the texture provides added dimension and contrast to the bold finishes. 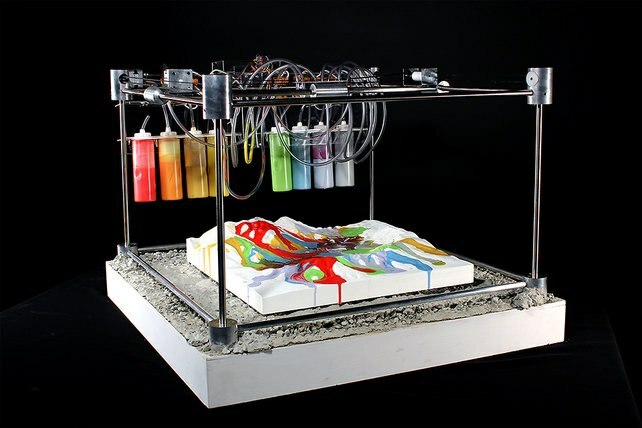 The Quakescape 3D Fabricator is a machine that turns earthquakes into art. 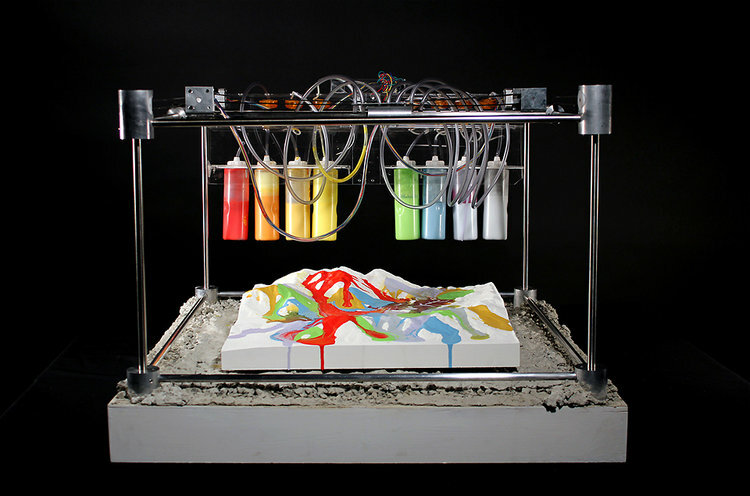 The Quakescape 3D Fabricator is a machine that turns earthquakes into art. Every time the ground in Christchurch starts to rumble, this machine catalogs it in color.